One of the most exciting locations we've worked in to date, we were commissioned to produce a media unit for a chalet in the French Alps! 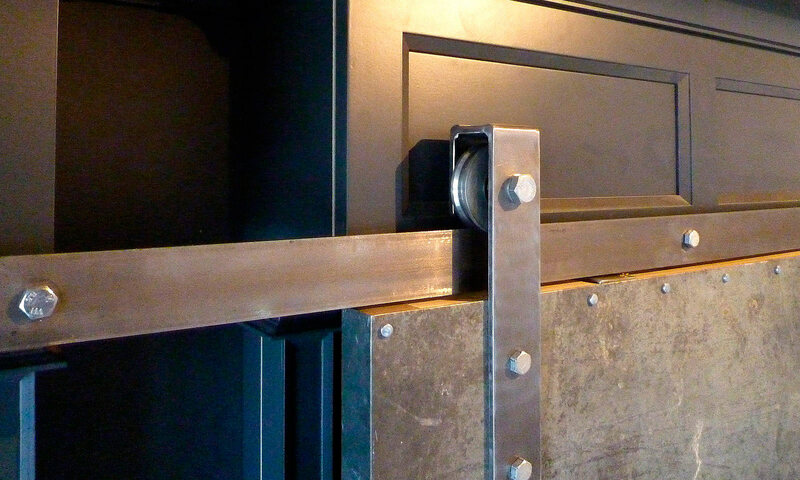 The design brief for this fabulous piece of furniture was classic storage with an industrial twist. 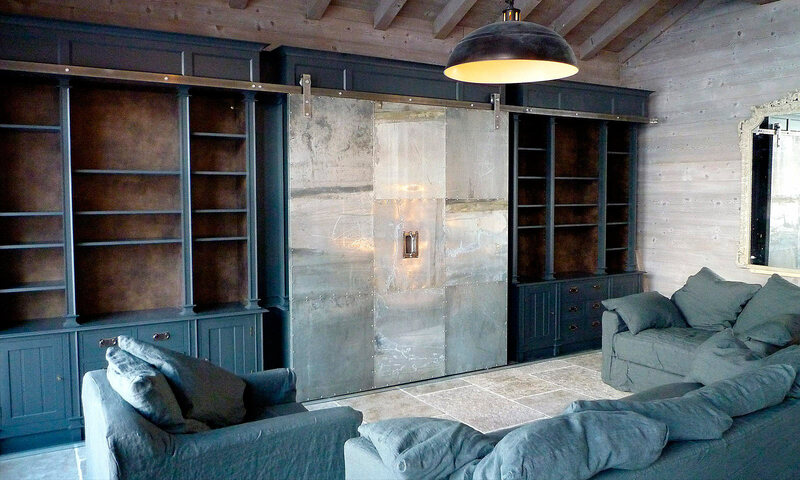 We created full height dark grey painted cabinets with open bookshelves, back panels of walnut veneer and a sliding screen of aged, riveted zinc. The large flat screen TV is positioned in the central section but can be hidden by the zinc panel when not in use. We worked closely with our friends at Cranbrook Iron to design and create the running gear and the stunning handle on the zinc panel.